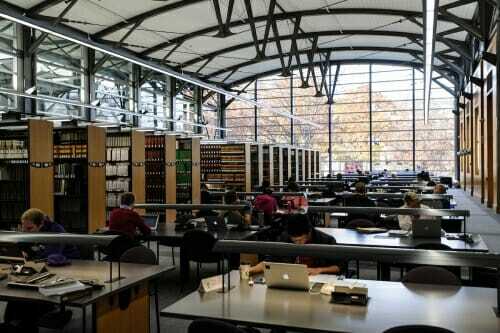 Imagine: A completely reconstructed Memorial Library that preserves the historic core of the building while replacing many book stacks with optimized user spaces; a new south campus library, plus remodeled College and Steenbock libraries. 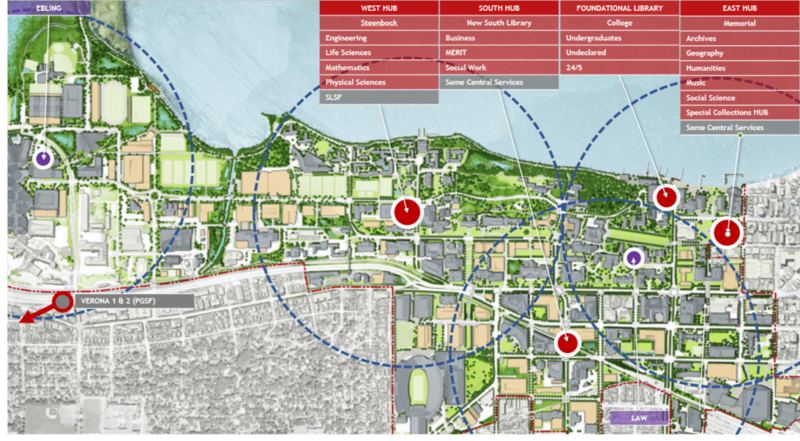 That is part of the vision in the newly completed University of Wisconsin–Madison Libraries long-term facilities master plan, which aims to provide direction for campus library buildings through the next 20-25 years. Since November 2016 the Libraries, in coordination with UW–Madison Facilities, Planning & Management, UW System, Wisconsin Division of Facilities Development, brightspot strategy (New York), and Engberg Anderson Architects (Madison / Milwaukee), have worked to gather and analyze data, as well as engage faculty, students, and staff to collect information critical to the plan’s development. Libraries officials are set to present the final report and recommendations of the master plan to the public on December 7, from noon to 1 p.m. at Memorial Library, Room 126; and from 4 to 5 p.m. at Steenbock Library, BioCommons. Presentations to campus leadership groups took place earlier in November. The final recommendation calls for projects designed to enhance and support research, teaching and learning, modern learning spaces, collection development, service delivery, strategic partnerships, and staff and patron experiences. The projects start with the already-in-progress, successful consolidation efforts, and call for a six-library hub system to enhance the reach, consistency, and depth of services, create a cohesive campus library identity, while reducing the Libraries’ physical footprint on campus. “A key component to this plan is looking at how we can be good stewards of campus space, and how we can grow our partnerships across campus,” said Van Gemert. “We have wonderful examples in how we’re rethinking library spaces that have already helped play a role in envisioning the opportunities this plan could create. 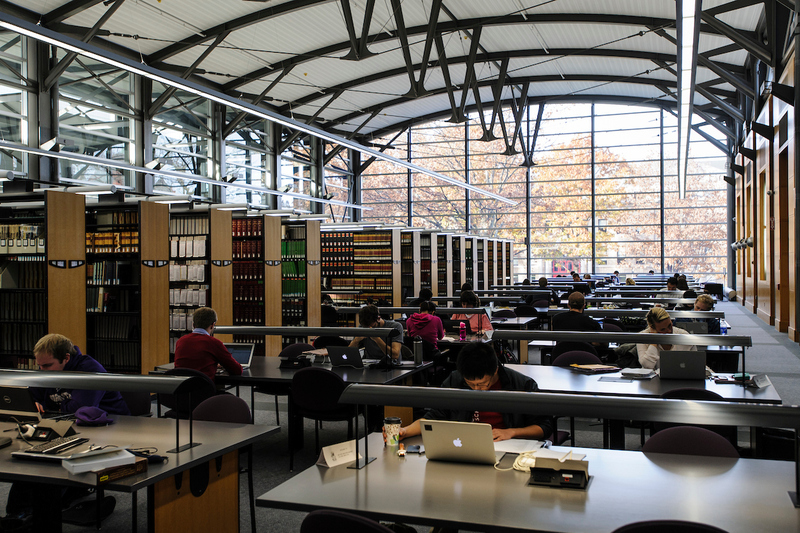 Those examples include Libraries’ work with the School of Business on the upcoming Learning Commons, the Chemistry Information Commons, its multiple partnerships within College Library working with SOAR Advising, WisCEL, and the DesignLab. Data gathered to help shape the plan gave critical insight into current library use as well as projected growth. It also looked at the impact of a decreasing use of print collections versus the rapidly increasing demand for digital collections. The use of physical space, including collection storage, user space, campus partner space, and public and staff spaces were also closely reviewed. 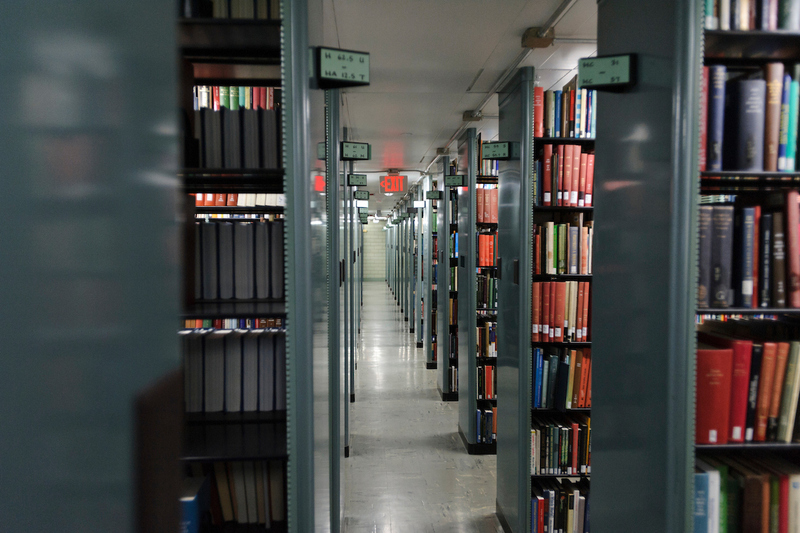 Under the current structure, more than one-third of the library space on campus warehouses physical collections, of which only 25% have circulated in the past decade. 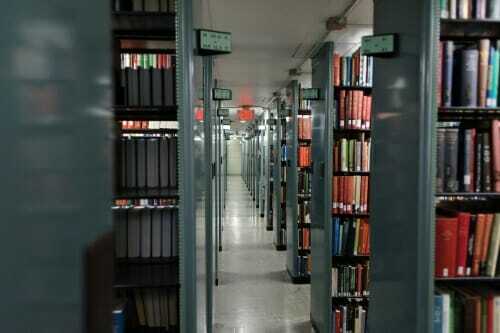 Currently, collection space on campus occupies approximately 327,000 square feet. The master plan would reduce that by nearly 62% (123,800 square feet). For more information on the entire master plan project, final report and recommendations, and process overview, visit Go.Wisc.Edu/LibraryMasterPlan.